There's a theory which says that some bacteria may be on Venus atmosphere, upper clouds, where temperatures are similar to Earth. But I think that maybe life is possible on the surface. Obviously it won't be anything like Earth, because such organisms would live at 90atm pressure, use liquid sulfur as solvent or merely for transportation of substances and they won't be made of the same carbon-based substances we are made, like carbohydrates and proteins. They would be based on liquid sulfur ( S8 for example ) and polymers with silicon, oxygen, carbon, aluminium, sulfur, chlorine, fluorine and other substances. Maybe they would be based on substances similar to zeolites. Such substances would be much more stable at higher temperatures than proteins or DNA, for example. According to Venus radar maps, the surface is dry, but maybe there are small or even big sulfur lakes in which radar didn't spot. Radar is simply not enough to tell us all aspects of the surface. To me there are still many things to be discovered in such misterious surface. So Venusians would be heavier, since their substances would have higher molecular mass than ours, would be hot and living under high pressures. High pressure is not a problem, since there are organisms living on sea floor in hydrothermal vents at similar pressures. What do you think about my idea? Let's discuss. I'm not really convinced that sulfur lakes may exist on Venus. Cassini was able to relatively easily spot lakes on Titan through the use of its radar, which, if I'm not mistaken, is quite similar in technique to what was done with Magellan on Venus. Lakes generally appear to be dark in radar due to scattering of the signal within the liquid, and little of it returning to the spacecraft. Hyperextremophiles on Venus is certainly an idea that can be entertained, especially in the absence of much data on the surface. Venus has enough air pressure to allow sulfur and sulfuric acid to be liquid at high ranges of temperatures. And Venus is so rich in sulfur... Maybe such liquid sulfur is not in open air, but in shallow or deep caves underground, I don't know. And if there's liquid sulfur in open air, maybe they're small. I don't think that the Venus maps have enough resolution to finish conclusions. Maybe shallow liquid sulfur lakes or even rivers can respond different in radar than ethane or water, because it's a different and much denser substance, because of its high atomic weight. There's more to explore on Venus! Or maybe the pressure is so high that turn sulfur or carbon dioxyde into supercritical liquids. How small are the lakes you have in mind? If they're anything bigger than ~1 km, they would probably have been noticed by now. I'm not quite sure what sulfur lakes look like in radar. Maybe someone here knows more about that and would be willing to share some insight? I didn't knew the resolutions were so high. I thought they were smaller. But, as I said, it might be possible to still have liquid sulfur inside caves or maybe in underground seas, but that's only what I think. Has anyone got a phase diagram for sulfur and/or sulfuric acid that covers the temperature/pressure range appropriate for the Venusian surface? I've only been able to find sketch diagrams for sulfur which aren't much use here. Oh no! The Venusians are in collaboration with the Martians? We're doomed!! Seriously, I think that surface life on Venus is plausible. They would be very different from Earth life, but still plausible. I see one huge problem here, the upturning of it's surface to explain the lack of craters theory. If it is right I don't see life surviving for a very long time in any cave ((assuming there even there))on the surface. It's still possible however and it'd be an interesting idea to pursue. I once read that life might exist in Venus' atmospheric clouds, where the temperature is lower, and where water vapour exists in limited quantities. Lazarus wrote: Has anyone got a phase diagram for sulfur and/or sulfuric acid that covers the temperature/pressure range appropriate for the Venusian surface? I've only been able to find sketch diagrams for sulfur which aren't much use here. Ah yeah... I looked around and couldn't find one either. Sulfur's vapour pressure at Venus's surface temperature of 735 K is just 1.3 atm, so it'd be 1.4% of the atmosphere at 100% humidity, which doesn't sound unreasonable. It might rise and condense as solid S8 in the higher atmosphere and be the mysterious UV absorbing stuff that still puzzles scientists. We know that Venus has a plethora of volcanoes, lava flows, and magmatic constructs (i.e. 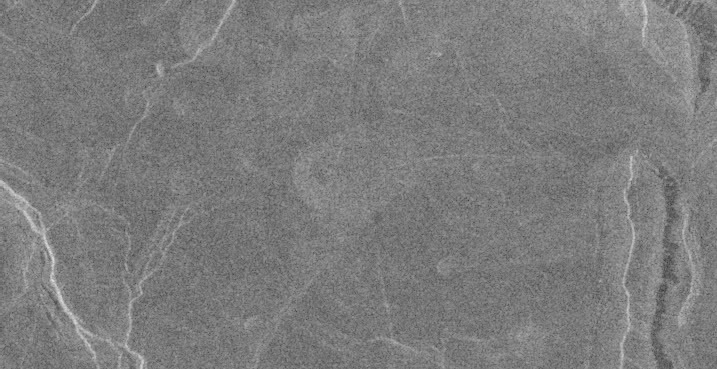 domes and coronae) on its surface, as evidenced from radar and the fact that the surface rocks are of a basaltic composition. There is some debate on whether or not its possible for terrestrial archaea to live in lava lakes and volcanic vents. If it is possible, there could be life in the vents and calderas of venusian volcanoes. WOW! And maybe more complex life adapted to that environment based in those primitive organisms living not in some S8 or H2SO4 sea or lake, but in the atmosphere itself? At surface pressure, CO2 is in a supercritical state, I think and maybe that act as a sort of ocean... A sort of CO2 supercritical ocean in which organisms use sulfur, silicon, oxygen, metals and maybe carbon as basis of life. Seems there could be actually some life in Venus after all. Yes, not a liquid ocean, but a supercritical one! And Venus has enough CO2, temperature and pressure for that. Venus surface is dry, but if life can develop in supercritical CO2 fluid, maybe complex life can develop in dry planets after all. So in this case Venus has source of energy and organics, now a supercritical fluid. All the base necessary for life to arise.